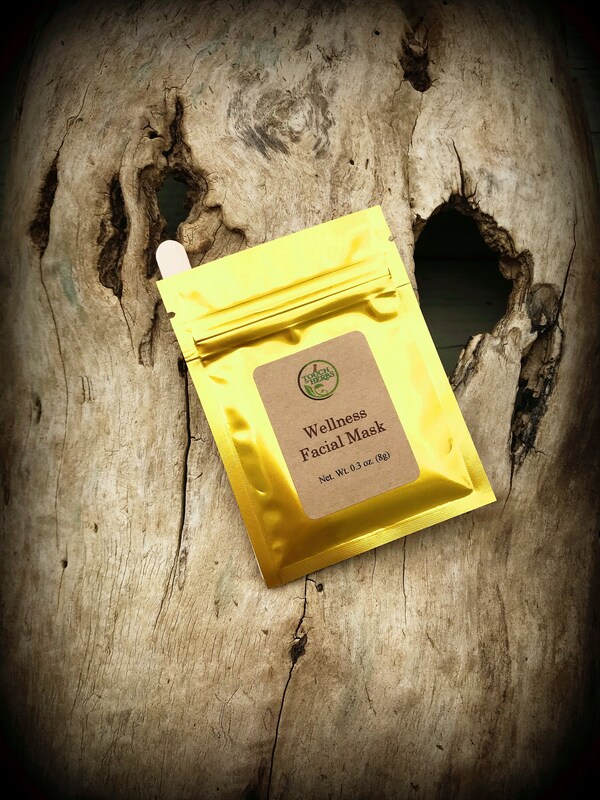 Our blended wellness face mask is great for escaping your daily rushed lives. Get pampered with this specially blended mask. It will make your skin feel rejuvenated and ready for more. With one of our main ingredient being Aloe Vera you skin is getting the boost it needs. Aloe Vera stimulate the creation of collagen and elastin which both prevent aging of the skin. It is packed with vitamins such as C, B1, B2, B3, B4 and B12. Not to forget to mention all the minerals it contains also like potassium, Calcium, Sodium, manganese, iron, magnesium and more. So why wait, get your skin rejuvenated by using our wellness mask and feel the boosting effect it will support your skin with. 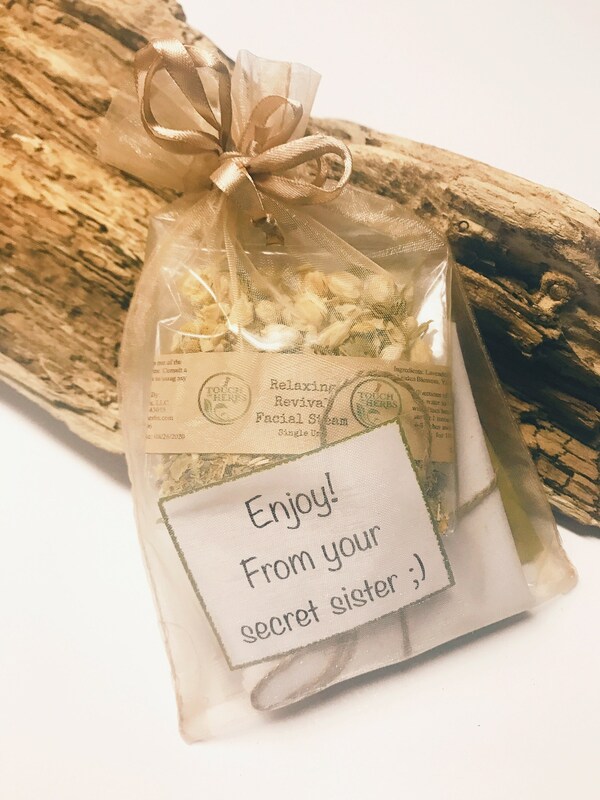 Our creation of herbs in this blend supports a sense of calm while soothing your body. Giving you that relaxing bathing experience that we all so desperately seek. Our combination offers supporting effects such as calming and anti-inflammatory properties that have been associated with each herb. 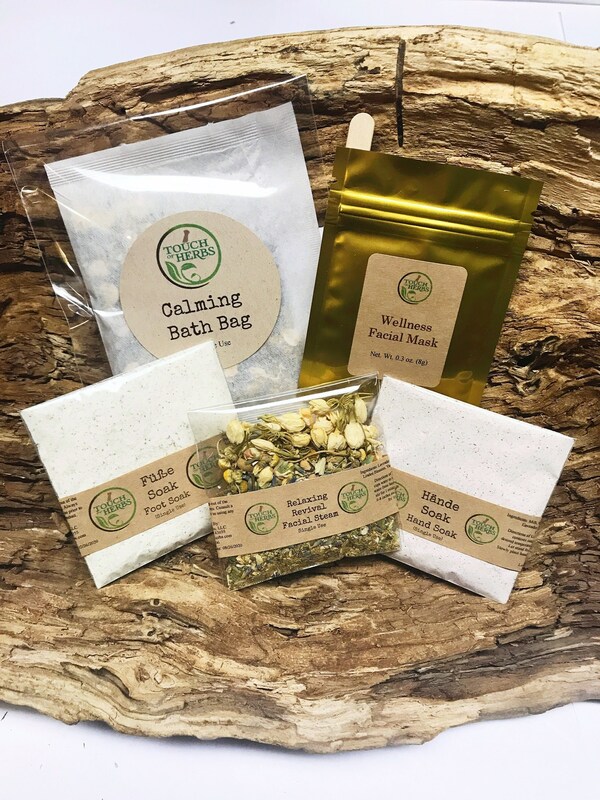 In addition, with each of our bath bags the mixture allows for the supporting effects of dead skin cell removal. 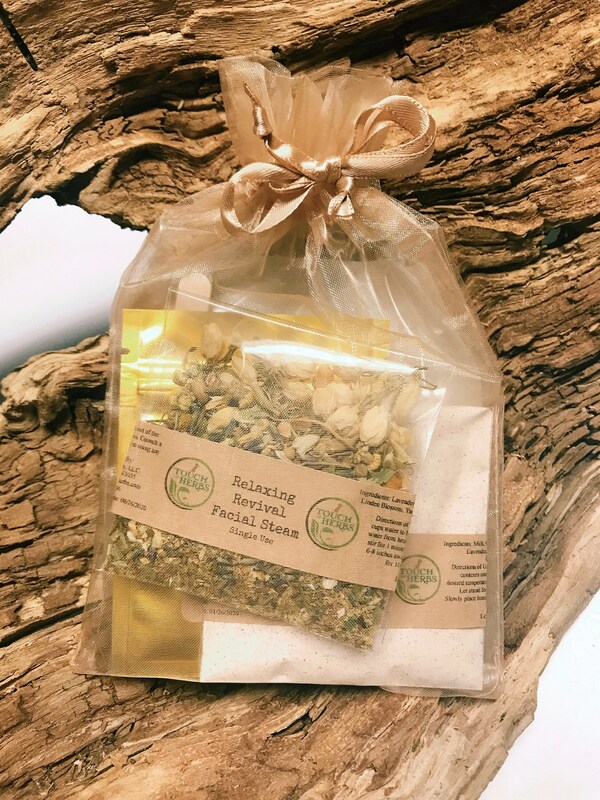 Facial steams are amazing for the skin, and a wonderful way to relax, moisturize, remove pollutants, deep cleanse and dislodge dirt from pores, purify, relax muscles, and stimulate circulation. 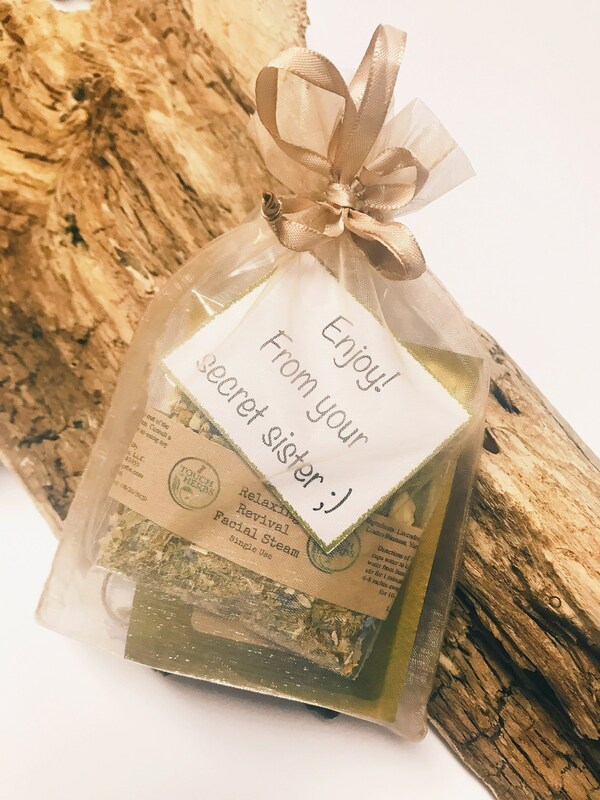 The heat and herbal mixture released into the steam encourages pores to perspire and breathe while imparting moisture deep into skin layers, bringing oxygenated blood to the surface of the skin, and helping to release impurities. 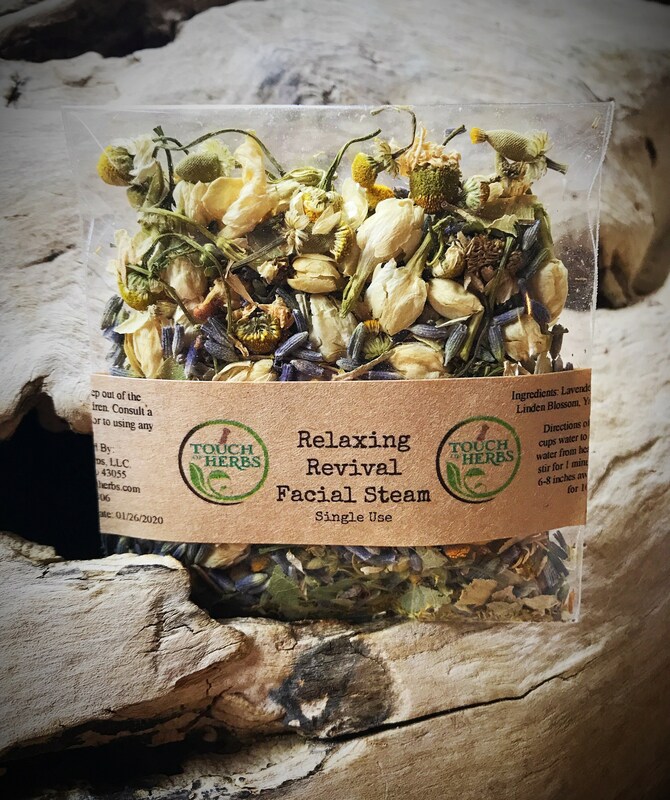 Our Facial Steam mixtures are excellent for all skin types. 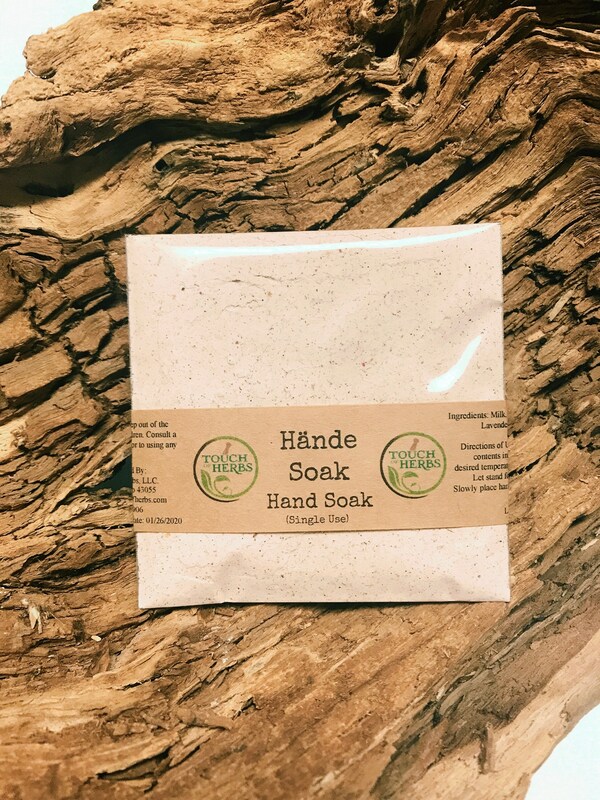 Our beautiful created Handsoak blend will leave your hands silky and smooth like you never felt before. Easy to use and mess free its a great way to give your hardworking hands the special treat they deserve. 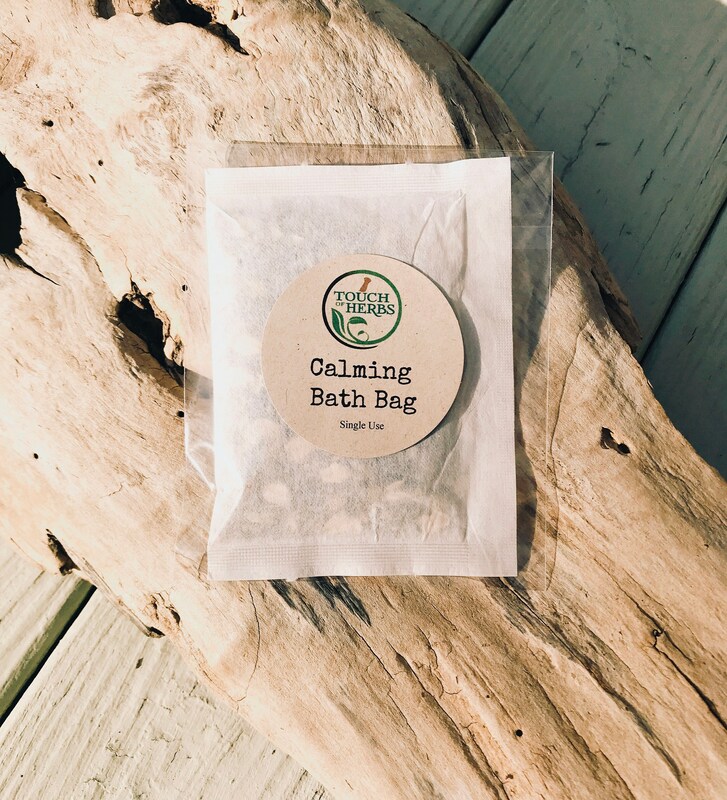 Just take a bowl with warm water , stir in your soak an sit back and relax while our soak will give your hands all they need to get back to looking all smooth , soft and shiny. When we created our blend we made sure to cover all most important aspects concerning our hands . We included all important properties to smooth , heal , calm and recover your hands. 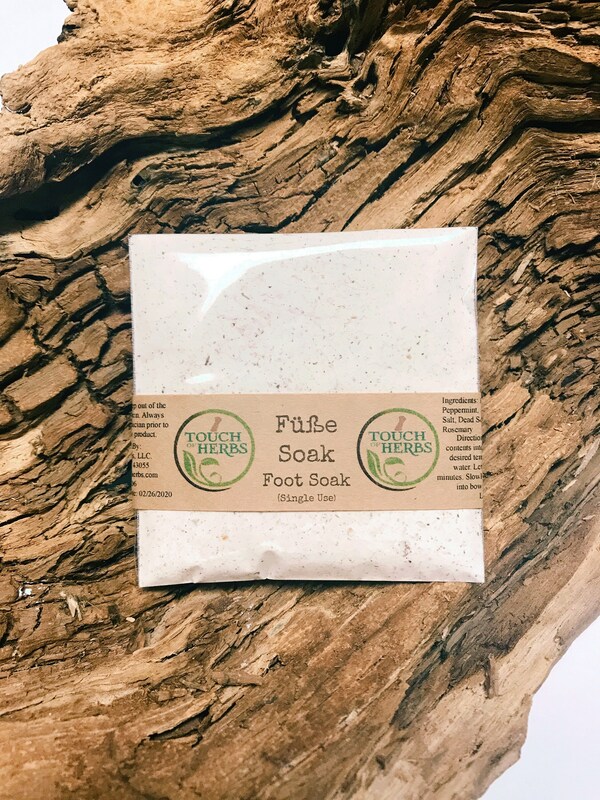 Our Füsse Soak blend is great to recover your tired and dry feet . Blended with herbs that will reduce sweaty feet and help get your blood flowing. Combined with salts and milk our soak sure will cover everything your feet need to get a nice revival and feel all smooth and healthy again.